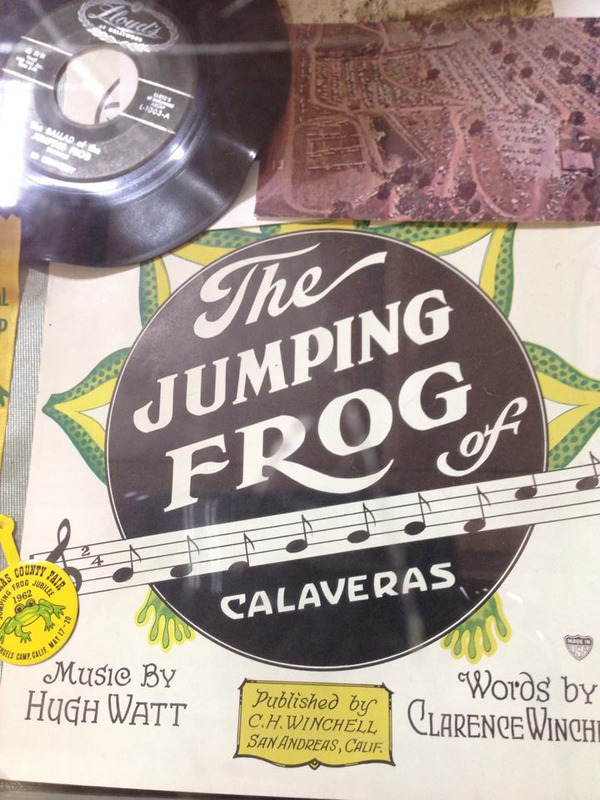 What we did: We called a taxi to take us to the Calaveras County Fair and Jumping Frog Jubilee, an event made famous by Mark Twain’s short story, “The Celebrated Jumping Frog of Calaveras County,” published in 1865. Read Twain’s short story for free here. The taxi driver spoke hardly a word, had a barrel shaped chest, sported several tattoos on his thick forearms and made an impression with his broad, bald head. He didn’t seem to mind the long drive to Angel’s Camp, as he would make a nice fare. We had no idea it would cost so much, but we consoled ourselves by rationalizing that we were supporting the local economy, and possibly a local “Sons of Anarchy” motorcycle club member.